Plot In July 1945, during the end of World War II, Japan is forced to accept the Potsdam Declaration. A cabinet meeting has continued through days and nights, but a decision cannot be made. The U.S. drops atomic bombs on the cities of Hiroshima and Nagasaki, Japan. 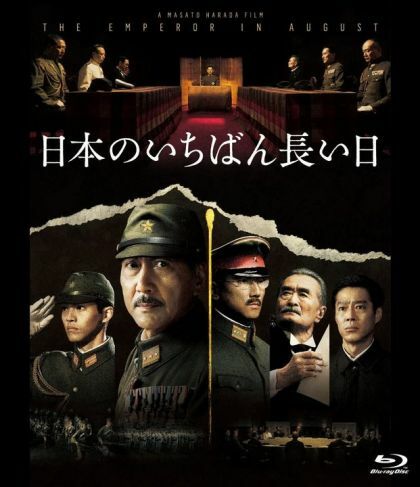 General Korechika Anami is torn over making the proper decision and the Emperor of Japan worries about his people. Prime Minister Kantaro Suzuki leads the cabinet meeting, while Chief Secretary Hisatsune Sakomizu can't do anything, but watch the meeting. At this time, Major Kenji Hatanaka and other young commissioned officers, who are against Japan surrendering, move to occupy the palace and a radio broadcasting station. The radio station is set to broadcast Emperor Hirohito reading out the Imperial Rescript on the Termination of the War.